DE SÈVE, ALFRED (baptized Joseph-Alfred-Marie Desèves), violinist, music teacher, and composer; b. 26 Jan. 1858 in Montreal, son of Alexandre Desèves, a lawyer, and Marie-Marguerite Lenoir-Rolland; m. 1880 Joséphine Bruneau, a pianist; they had no children; d. 25 Nov. 1927 in Montreal. Growing up with two brothers and several sisters who almost all practised music, Alfred De Sève early showed an aptitude for the violin. After a few lessons with a Mr Doré, at the age of seven he began taking classes with Oscar Martel, a teacher at the Petit Séminaire de Montréal; De Sève gave his first recital there after only six months of study. In 1869, Martel having left Montreal for a year, De Sève found a fine teacher in Frantz Jehin-Prume*. His training must have been irregular for the next seven years, since both his teachers divided their time between Canada and Europe. In 1873 De Sève completed his classical studies at the Petit Séminaire de Montréal, which he had attended since 1869. Three years later, with the encouragement of Jehin-Prume he set out for Paris. He registered first with the Spanish violinist and composer Pablo de Sarasate, who wanted to get him into the Conservatoire de Paris. Instead, De Sève went to virtuoso Henri Vieuxtemps, who, despite his considerable age and poor health, agreed to take him under his wing. The young Canadian soon moved on to Hubert Léonard, with whom he studied for 18 months. Between February and June 1878 he caused a stir in Parisian high society. Buoyed by his successes, having even acquired the honorary title of court violinist to Isabella II, queen of Spain, he arrived back in Canada toward the end of the summer of 1878. Upon his return De Sève gave many concerts in the principal cities of the dominion, where he was warmly received. 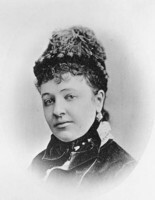 At a party given in Ottawa at the residence of the governor general, the Marquess of Lorne [Campbell*], his wife, Princess Louise* Caroline Alberta, appointed him “violinist to Her Royal Highness.” In 1880 he married pianist Joséphine Bruneau; her mother had taken as her second husband Louis-Olivier Taillon, who would become premier of the province of Quebec. Joséphine served as her husband’s accompanist until a nervous disease gradually caused her to slip into a catatonic state. 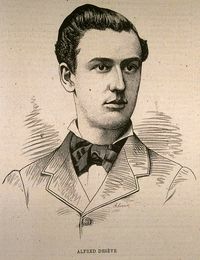 Despite the promise of an excellent career in Canada, De Sève exiled himself to Boston in 1881. Here, in a city with broader and more prestigious opportunities, the most active period of his artistic career began. 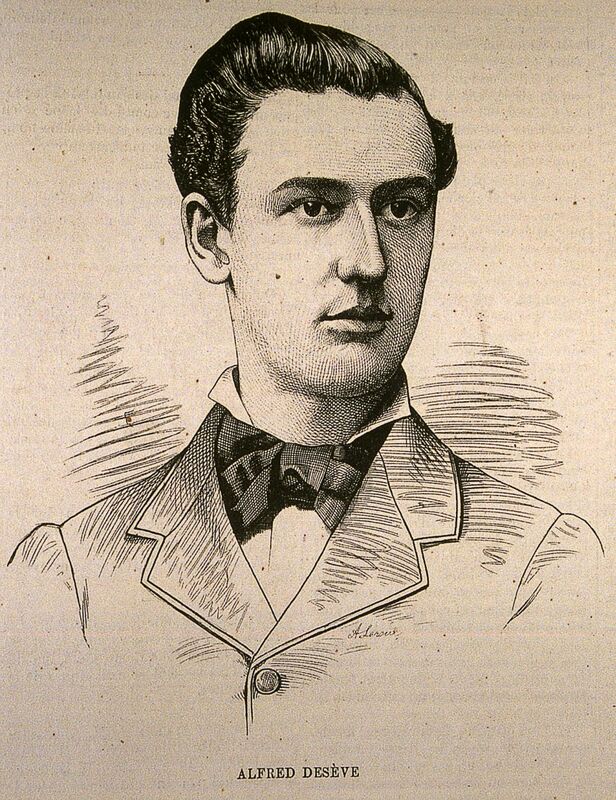 From 1881 to 1889 he taught violin at the New England Conservatory of Music, where its 1888–89 yearbook says he became “one of our most popular teachers.” He joined the Boston Symphony Orchestra at its foundation and took part in the 1881–82, 1883–84, and 1884–85 seasons, performing as soloist in Mendelssohn’s Concerto in E minor, op.64, and Saint-Saëns’s Introduction and rondo capriccioso op. 28. He also held important positions in various Boston ensembles that took him to many parts of the United States to perform. In 1891 he succeeded Calixa Lavallée* as choir master at the Cathedral of the Holy Cross in Boston; the two men had maintained cordial ties from at least the time of the violinist’s stay in Paris. De Sève seems to have amassed a sizeable fortune from these activities and he reinvested it in Montreal in properties and the stock market. It was, in fact, the management of his affairs (and probably also the state of his health) that led him to return there in 1899. De Sève took part in a few concerts at Montreal’s Her Majesty’s Theatre in the company of his wife in 1900, and then played in several string quartets until 1906, with such musicians as Émile Taranto, Joseph-Jean Goulet*, and Jean-Baptiste Dubois. But it was above all to teaching that he devoted the rest of his life. He taught at the McGill Conservatorium of Music from 1904 to 1906, and he subsequently had a private studio on Avenue Esplanade. A number of his students enjoyed active careers, among them Alexander Brott, Albert Chamberland, Eugène Chartier, Marcel Saucier, Lucien Sicotte, and Noël Brunet. De Sève died on 25 Nov. 1927 of a heart condition from which he had been suffering since his years in the United States. He left several compositions, mainly for violin and piano, which were published in Boston. In 1931 a Montreal street in Saint-Henri ward, where he was born, was named after him. Two compositions by Alfred De Sève are preserved in the Bibliothèque Nationale du Québec (Montréal): Angels lullaby, op. 7 (Boston, 1918), and Slumber song (Boston and New York, 1890). Despite extensive research, it has proven impossible to locate De Sève’s marriage record. ANQ-M, CE601-S6, 26 janv. 1858. Boston Public Library, Boston Symphony Orchestra scrapbooks, comp. A. A. and M. A. Brown et al.(mfm. ), 1881–82. MUA, RG 39, c.68. “Au conservatoire du McGill: les professeurs canadiens-français,” La Patrie, 16 mai 1904. L.-O. David, “Alfred Desève,” L’Opinion publique (Montréal), 10 oct. 1878; “Concert Desève,” L’Opinion publique, 17 oct. 1878. Le Devoir, 25 nov. 1927. Arthur Letondal, “Alfred De Sève,” Le Devoir, 28 nov. 1927. “Mr Desève’s concert,” Canadian Spectator (Montreal), 21 Dec. 1878. Le Monde illustré (Montréal), 13 oct. 1894. “Notre violoniste canadien à Paris,” L’Opinion publique, 30 mai 1878. Léon Trépanier, “Petite histoire locale,” La Voix populaire (Montréal), 3, 17, 24, 31 oct., 7 nov. 1951. 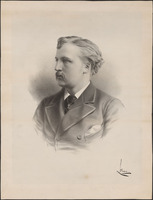 “Alfred De Sève,” Le Canada artistique (Montréal), 1, no.1 (prospectus, décembre 1889): 1. Encyclopedia of music in Canada (Kallmann et al.). J.-A. Houle (Montreal), “Frantz Jehin-Prume (1839–1899): son apport culturel au milieu québécois” (thesis, Music Conservatory of Quebec, Montreal, 1989). M. A. De Wolfe Howe, The Boston Symphony Orchestra, 1881–1931 (New York, 1931). Arthur Laurendeau, “Musiciens d’autrefois: Alfred Desève,” L’Action nationale (Montréal) 35 (1950): 186–96. The musical red book of Montreal . . . , ed. 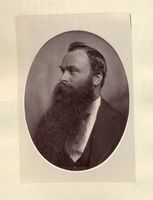 B. K. Sandwell (Montreal, 1907). New England Conservatory of Music, Calendar (Boston), 1888–89. Les rues de Montréal (Montréal, 1995). Jacques-André Houle, “DE SÈVE, ALFRED (baptized Joseph-Alfred-Marie Desèves),” in Dictionary of Canadian Biography, vol. 15, University of Toronto/Université Laval, 2003–, accessed April 26, 2019, http://www.biographi.ca/en/bio/de_seve_alfred_15E.html.